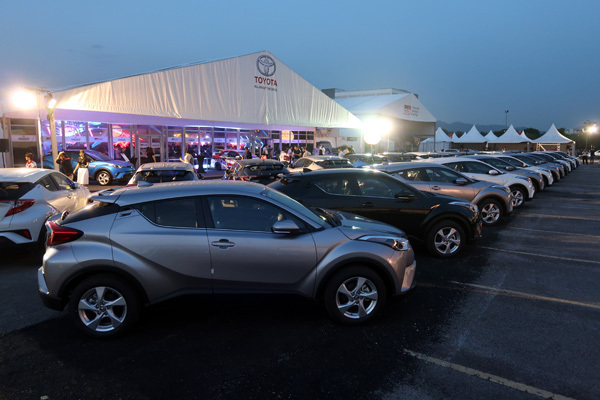 UMW Toyota Motor (UMWT) delivered the first 50 units of the All New Toyota C-HR compact crossover to its customers at an event held at the Technology Park Malaysia, Kuala Lumpur. Also present at the ceremony was the Chief Engineer of the All New Toyota C-HR, Mr. Takatomo Suzuki. 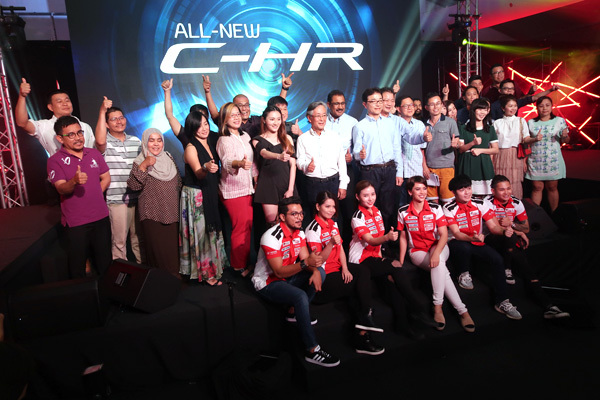 Speaking at the function, Mr. Ravindran K., President of UMW Toyota Motor said, the delivery to the first 50 customers in Malaysia also mark the official introduction of the All New Toyota C-HR. “Since being previewed last year, interest in the All New Toyota C-HR has been high. To date, we have received around 1,500 bookings for the model and because this is a unique model, we wanted to personally handover the vehicle to our first 50 customers,” he said. “We are always grateful for the support given by our customers and they can be assured the best Toyota ownership experience with maintenance and services from fully trained technicians on the C-HR but also availability of replacements parts when needed. Furthermore, only with Toyota models sold by UMW Toyota Motor and its authorised dealers, they can enjoy a 5 years warranty with unlimited mileage,” Mr. Ravindran added. 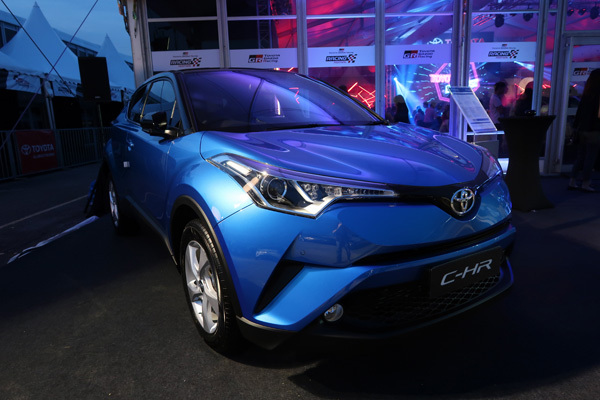 Since its global debut, the All New Toyota C-HR has been a hit in every market that it has been launched in. Apart from its stunning looks, the model sits on Toyota’s New Global Architecture (TNGA) platform which is being used for many new Toyota models. For the Malaysian market, the C-HR is introduced with one variant, a 1.8-litre petrol engine with 7-speed Sequential Shiftmatic CVT. Its safety features include ABS as standard with Vehicle Stability Control (VSC) and Traction Control (TRC) as well as Rear Cross Traffic Alert (RCTA) and a Blind Spot Monitoring system (BSM). The C-HR is also equipped with an Electric Parking Brake and Hill-start Assist Control (HAC) to prevent the vehicle from rolling backwards while moving on a steep slope. The interior design concept is a departure from the conventional approaches and combines high-tech functionality with fashionable style. The driver-oriented area incorporates innovative details and intuitive technology with sharp and clear Optitron meters and a 4.2-inch Colour Multi-Information Display (MID) that keeps the driver informed of the vehicle’s operation. For enthusiast drivers, there’s also a G-monitor which shows the G-force exerted by the vehicle during cornering, acceleration or deceleration. 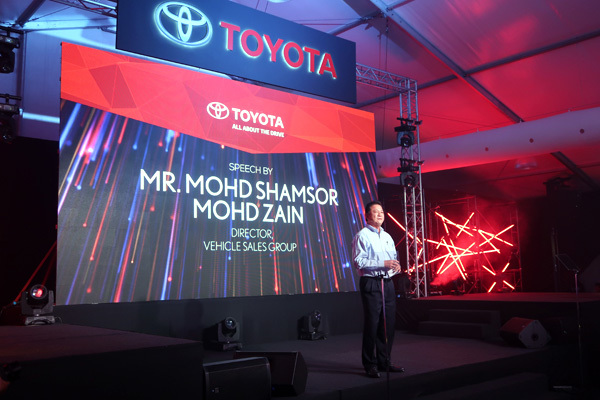 Commenting on the Toyota GAZOO Racing (TGR) Racing Festival and Vios Challenge race, Mr. Ravindran said it has been well-received at the three venues; Batu Kawan, Penang; Serdang, Selangor and Medini City, Johor. The final round will be held at Technology Park Malaysia in Kuala Lumpur this weekend (24th and 25th March). “UMW Toyota Motor is delighted to organise this exciting event and from the big turnout at each round, we are encouraged to continue with a second season of the Toyota GAZOO Racing (TGR) Racing Festival and Vios Challenge. Planning has already started for the event which will start in the second half of this year. We are grateful to all our sponsors for their support and look forward to being partners again in the next season,” Mr. Ravindran said. For more information, log on to www.toyota.com.my.